Mini face lift procedures are mainly devised to correct the problems of aging on the face. When you become older, you might feel that your face is much showy of your oldness. 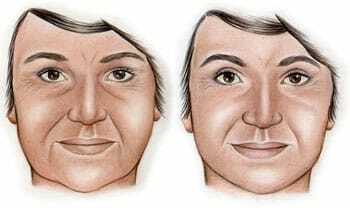 Aging signs can be seen in the mid-face, cheek, and lower eyelid. Mini face lift procedure helps in renewing your facial balance by giving an overall lift to the neck and lower third of the face. Most of the patients seeking mini face lift will be the people of forties and fifties. Mini face lift is also known in different names such as the baby boomer face lift, mini lift, s-lift, or limited-incision face lift. People who show aging in the mid-face and who do not have a harsh amount of excess skin around their jaw line and neck are appropriate candidate for mini face lift procedure. A mini face lift procedure does not meant to stop aging. It can only improve the signs of aging. Mini face lift can be considered as an individualized procedure. During the first visit, the surgeon will examine your face, including the skin and underlying bone. He/she will discuss you about the surgery and its implications. He/she will give you some instructions to prepare yourself before the surgery. Most of the procedures are done under local anesthesia combined with a sedative. Some surgeons may use general anesthesia. The incisions made for the surgery will be of a lengthier than that of the incisions used in traditional surgeries. The approach to the procedure differs from surgeon to surgeon. Some surgeon may finish one side of the face at a time. Whereas, some others move back and forth between the sides. Depending on your facial structure and the technique, the placement of incisions and sequence of events may vary. What the surgeon will do in general is to separate the skin from the fat and muscle below. To improve the contour, the fat from around neck and chin will be trimmed or suctioned. Then the surgeon will tighten the underlying membrane and muscles, pulling back the skin and will remove the excess. The incisions will be closed with stitches. It will help to secure the layers of tissue. Sometimes, metal clips may be used on the scalp. A small tin tube may be placed under the skin, that can drain the blood. To minimize swelling and bruising, the surgeon may wrap your head loosely in bandages. There can be some insignificant discomfort after the surgery, which can be lessened by medication. You might feel some numbness of the skin, which is quite normal and may disappear in a few weeks or months. If you feel persistent pain or a sudden swelling, you must consult your surgeon immediately. Most of the stitches will be taken off after about one week. The clips used in the scalp may taken longer time to remove, as the scalp needs more time to heel. Your surgeon will give you some instructions and guidelines, according to which you should control your activities in order to make recovery faster. It may take ten to two weeks for recovery. Most probably, you will feel and look much better by the third week after the surgery.